Why a Holistic Approach to Acid Reflux and GERD? No matter the time of year, but especially around the holidays and year end, rich and abundant foods, parties, alcohol and stress lead to a perfect storm that often ends up with the suffering of Acid Reflux and GERD. Automatically, many people, reach for over-the-counter medications to help treat occasional heartburn. However, often those same over-the-counter medications, which help mask the symptoms of heartburn may cause more damage than help in the long run. Contrary to what you may believe, it’s not a good idea to turn off the acid faucet in your stomach. Stomach acid is essential to digest protein and minerals. Additionally, it is this natural acid secretion that kills the germs on food. 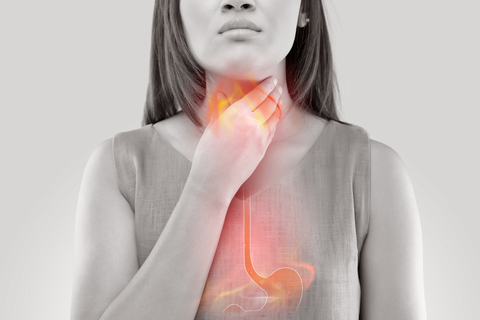 Why is the Acid Reflux and GERD Occurring? Looking at the whole patient, a Holistic Doctor practicing functional medicine also asks is this a chronic condition? Is the patient experiencing other symptoms that they haven’t linked to their stomach troubles? While these changes are important to your overall health, they may not completely eliminate the problem. Please call the Holistic Doctor of Charlotte for help in finding the root cause and a natural, holistic, non-pharmaceutical solution to your Acid Reflux or GERD.